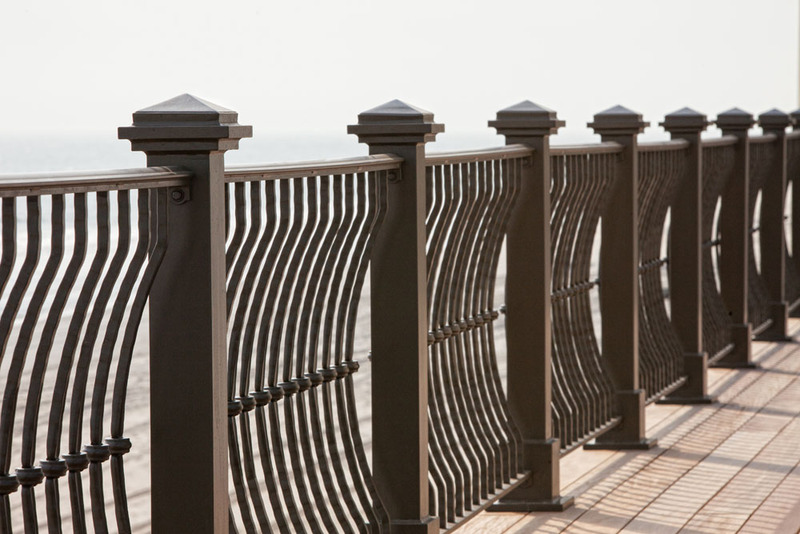 We were contacted by Van Dayne Builders of the New Jersey Shore that they needed custom railing for a beautiful shore home. We met with the interior designer, client and builder. The client wanted a big 8” belly railing, the designer was aghast. He said “A belly balcony railing design will look horrible with the architecture of the house. The railing needs to be straight.” We made a compromise and created a modified belly balcony design. An ever so slight 3” belly balcony railing! All parties were thrilled! 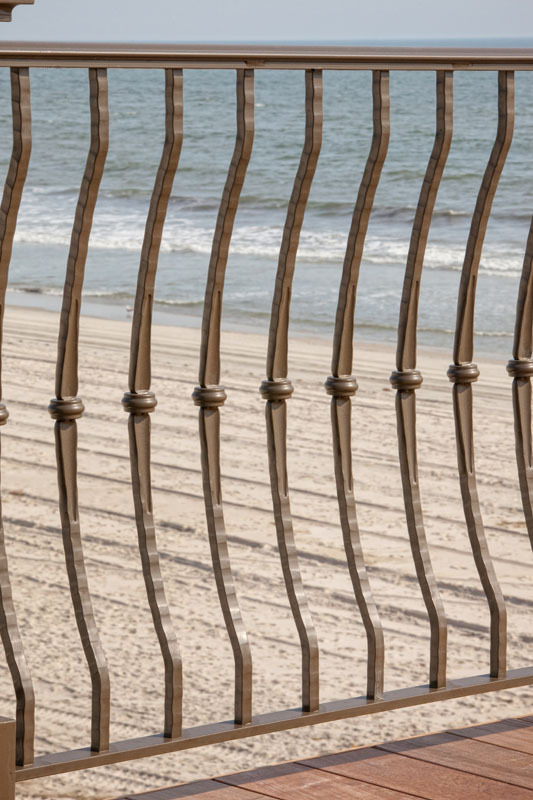 Their concern was if we can create custom metal railing that can withstand the shore elements. We utilized solid aluminum 6063 material, created the correct hammered texture. We then Custom machined Collars to slip over the picket. Picket was heated an encapsulating dimple forged on either side of the slipped-over collar. We also created the subtle, but pleasing 3” belly profile. 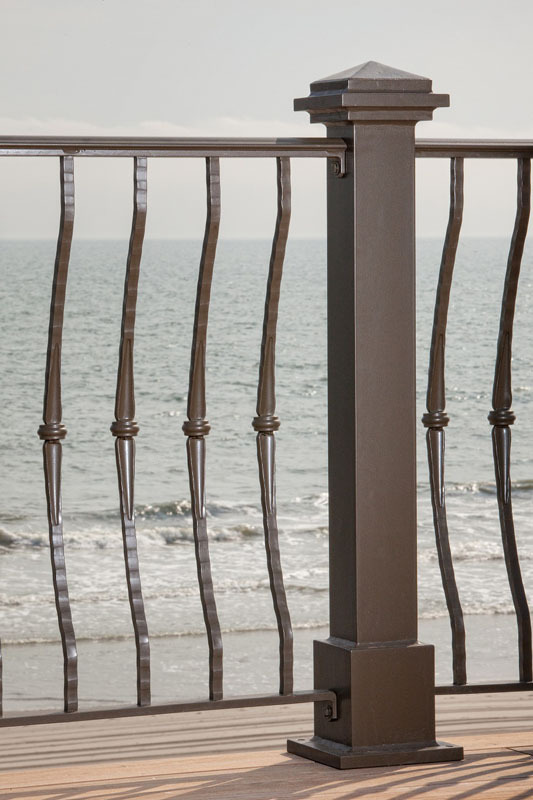 We also custom-created the balcony railing post that the architect had in his original design everything was custom-created, balcony railing design and posts. The client selected Statuary Bronze for a finish color, which was applied done with an eco-friendly powder-coat that can withstand the harsh elements at the shore. The medium bronze powder-coat was too light in color, so we ended up custom blending the powder-coat finish to the shade that the client liked. 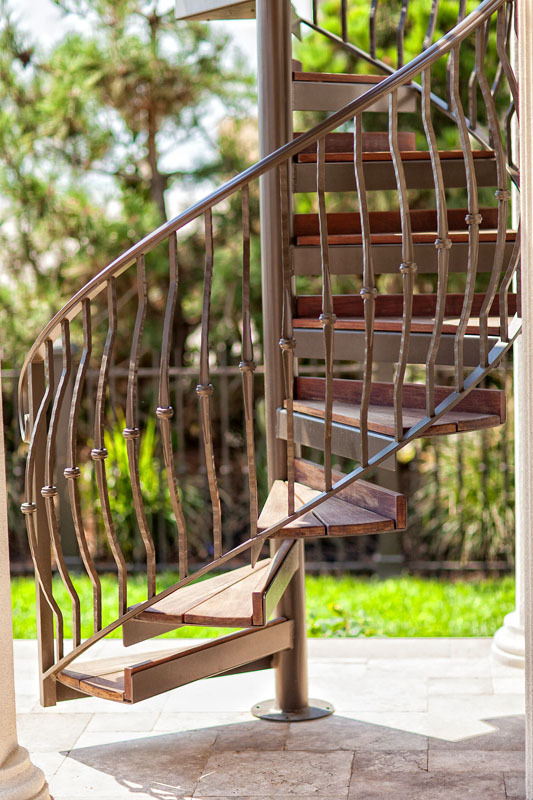 This phenomenal railing design at a New Jersey shore home, and accentuates the architecture of the home, making for a very happy architect, designer builder and client.